The Dark Knight was almost immediately branded the end-all be-all of superhero films when it hit theaters a decade ago. It’s a good film, but its critical influence has not proven to be wholly positive. Nolan not only raised our expectations for the genre, but it perverted them. It taught us to think the best superhero films aren’t supposed to feel like superhero films. Thankfully, the masochistic shame featured in Nolan’s Dark Knight trilogy and Bryan Singer’s early X-Men films has become old-fashioned. Thanks in large part to the success of Sam Raimi’s Spider-Man films, the MCU and Deadpool, the industry trend is to think with fanboys in mind. That means colorful, comic book-accurate costumes, hokey one-liners, and a premium on continuity. And in an era where even Bryan Singer’s X-Men Apocalypse boasted a rich color pallet and an abundance of humour, all of DC’s repertoire, sans Wonder Woman, felt so dated. The studio’s brooding, self serious, bleak attempts at thought-provoking pictures belong to the ‘90s. It used to be that the highest compliment you could lend a superhero movie was that it felt like another kind of movie but with superheroes in it. That was the way we separated the men from the boys. That still happens on occasion— Spider-man: Homecoming earned a lot of acclaim for repurposing the John Hughes aesthetic. Meanwhile, Captain America: The WInter Soldier was through and through a political thriller. But in many ways, those attributes have sort of always been in the character’s mythos. Homecoming wasn’t doing gymnastics to get the John Hughsey, high school teen comedy angle to work—it just fit like a glove. Same goes for The Winter Soldier . Moreover, those films never expressed contempt for their respective source material. A good superhero film understands the inherent juvenile nature of its premise and elevates the material in the execution, not in the presentation. Black Panther nailed this. It wielded salient themes, but it never forgot to have fun. It’s a comic book movie, as colorful and ridiculous as the best of them, even if it has a care for the dramatics. The Dark Knight was masterful in many ways, but the thing that kept it from feeling like a definitive adaption was its hesitancy towards Batman's comic elements. It set in motion the idea that Superhero movies could only operate in one of two camps to be considered good films—either a dramatic, grounded, sober approach; or the throwback camp. But Black Panther lives in both worlds. Even in its most self-possessed and somber moments, it’s never hard to imagine Spider-man is somewhere slinging around, or that the Guardians Of The Galaxy are squabbling somewhere in the cosmos above Wakanda. 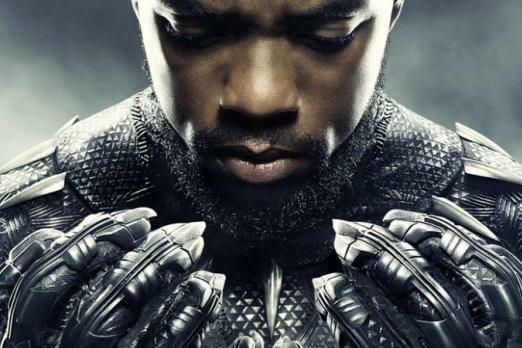 The highest degree of respect Coogler paid to the superhero genre was making a good film IN the genre, not in spite of it. Welcome to a new age, friends.